Playa Dominical and Costa Ballena have a limited supply of condominiums and villas for sale. 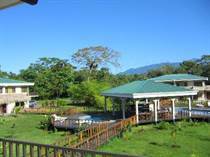 There are various condo projects in Manuel Antonio and numerous available in Jaco. We would be happy to assist you in finding the right option. 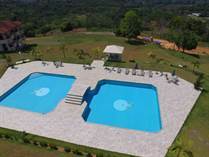 There are individual luxury villas in Dominical and Uvita for sale, often with their own private dipping pool. Please review the available villas and condos below and request any additional information. "Luxury Villa and Duplex Gated Community"
"Villa Price - $949,000 USD"
"Walk to the Beach Luxury Condos!" "Only One 3 Bedroom Left in Phase I"
"Incredible Ocean Views / Great Location"
"Reduced From $187 500 USD"
"ONLY GOLF RESORT IN THE SOUTHERN ZONE"